At the request of Superintendent Ember Conley, a moment of silence was held in memory of the 17 victims who lost their lives at Stoneman-Douglas High School in Parkland, Florida, on Feb. 14. Cole Smith, a safety and security expert with the Tresit Group, presented the board with his analysis for safety. Smith is a former Special Agent for the Department of State, Diplomatic Security Service. “Park City School District has been extremely proactive in their response to school safety and emergency procedures,” the report states. “All eight schools in the district would be among the top schools for safety posture and preparedness in the State of Utah based on frequency of drills, school involvement in safety planning, community engagement, and school upgrades for access controls.” Smith commended the district’s willingness to improve security procedures, visitor access, and perimeter security are in line with best practices. He reminded the board that the report will not guarantee the practices put in place will completely stop and eliminate all threats in schools. “A trained teacher who can make decisions is by far the best. All improvements, additions, and procedures will complement a well-trained teacher.” The report includes recommendations for the following visitor access policy, background checks, lessons learned from drills and areas of improvement, historical threats in Utah and best practices for school safety, future training for staff, access control and perimeter, and modular classroom threat assessment. The full report can be accessed here. 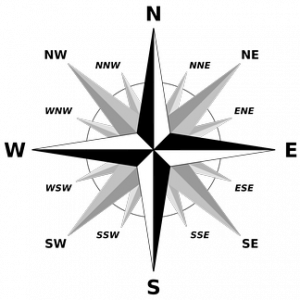 –Desired Characteristics Essential in the Next Superintendent: One who has a proven track record and can develop a strong partnership with the Board of Education. One who will foster a climate of mutual trust and respect in order to continue to attract and retain outstanding employees; as well as be an accomplished and experienced instructional leader with knowledge of best practices while demonstrating integrity and a professional presence. A superintendent that is a visionary, an excellent communicator and collaborator is preferred. Other essential attributes desired are: fiscal acumen, politically savvy, effective manager of the system, and knowledgeable about facilities. The first round of interviews is tentatively scheduled for April 27-29, with final interviews tentatively scheduled for May 5-6. The board anticipates extending an offer to a candidate by mid-May. Superintendent Conley provided the history of the school start times proposal, stating there was a past motion (made June 6, 2017) on the floor from the Board to implement new start times for the 2018-19 school year. The administration gathered the details of that motion and what it would look like financially. That information is included in the preliminary budget discussions. The budget will not be voted on until the end of April. The board is also looking at the timing of master planning and if it should wait to make any major changes in school start times. Dr. Conley said there are some traffic solutions being discussed by the city and county, but those solutions are down the road. Vice President JJ Ehlers said the discussion will continue March 6 when more board members are present. Ben Kahn, co-president of PCEA, reminded the public that the upcoming tax increase is a result of increased spending across the district, and not just a salary increase for teachers. PCEA wants representation on hiring committees. And Kahn said there was lack of transparency on start times being discussed by the Board tonight. Vice President Ehlers reminded Kahn that start times is only a discussion item because it is included in the preliminary FY19 budget. Colleen Mutcher, president of the Park City Classified Education Association, expressed concerns on behalf of the Transportation Department, about the two-bell schedule. Transportation employees have a lot of concerns about the cost of implementing the new start times, the need for 8-10 new buses, the need for 10 new drivers, and the possible loss of benefits. Melinda Colton, Director of Communication, reported on the Utah School Public Relations Association’s strategic effort to use district social media channels to push out safety messages, protocols, and resources following the Stoneman-Douglas High School shooting. Colton also said she has been working with Human Resources to develop its online presence for the Education Week Online Job Fair set for March 1. PCSD will be recruiting teachers nationally for the 2018-19 school year. At the request of the board, she is working with the HYA consultants who are conducting the Superintendent Search. Business Administrator Todd Hauber presented $5.7 million in capital outlay recommendations to the board for FY19. The recommendations can be viewed here. –Lauren Strachan, a parent who has served on the school start times committee, said the committee approved a two-bell system for an 8:30 a.m. or later start time in schools to assist students in their mental health and well being. She suggested the board considered pushing all start times back 25 minutes so that school buses will not be on the roads during peak traffic times. –Sharon Maddux, a teacher at Treasure Mountain Junior High, said she attended board meeting thinking a vote was taking place on school start times. She expressed frustration that there has been no communication on this issue with stakeholders, especially teachers. Maddux said this issue will impact every staff member in the district. She believes start times would be better coordinated with the possible realignment being discussed as part of the master planning process. –Elissa Aten, co-founder and president of PC Reads, said the Wilson Fundations reading program has been well received in the elementary schools. She asked the board to support the addition of four Tier 3 intervention specialists. She said these positions are critical because of the great need for intervention. –Jim Tedford, a retired teacher, said arming teachers with guns is a very bad idea. He urged the board to support the students movements on this issue, whether locally or nationally. He applauds the students who are starting this movement. He encouraged the board to facilitate any students activities, within reason, that support this national movement. The Park City Learning Academy has not only changed its name, it has changed the way its students are learning. The Academy provides Park City High students with an alternative setting for core class instruction in English, math, social studies and science. Elective are taken at the high school. “The PCLA is a setting for students looking for smaller class sizes, personalized and project-based learning, and an adult mentor to support,” said Principal Tracy Sjostrom. The PCLA is open to any future 10th-, 11th-, or 12th-grade students “who want to be part of a close-knit group of students and staff focusing on social emotional well-being and academic achievement,” Sjostrom said. Students can register for the PCLA by picking up an application at Treasure Mountain Junior High or the Academy. Summit Learning is a personalized approach to teaching and learning. Sjostrom said Summit Learning combines core values, what science tells on how students learn best, and cutting-edge research into a school experience that is tailored to community needs. The three pillars to the student experience at the Academy are 1) project-based learning where students work alongside teachers and classmates on real-world projects; 2) one-on-one mentoring; and 3) individualized pathways that empower students to set goals and understand content in a way that is best for them. “We offer exploratory field trips, positive supports, and added encouragement. Students do not fall through the cracks,” Sjostrom said. 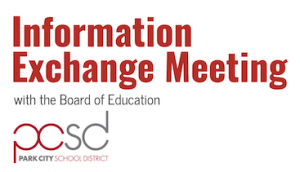 The Park City School District Board of Education hosts monthly informal meetings so it can engage parents and members of the community. The following items were discussed Feb.14 at Park City High School with Board President Andrew Caplan and Vice President JJ Ehlers. Connect Summit County: Executive Director Shauna Wiest provided an overview of the mental healthcare resources Connect Summit County has available to parents and students. Connect, now in its second year, partners with the school district to host events related to mental wellness, suicide prevention, improved communications between parents and students in the age of smartphones, and opioid addiction. Connect provides educational programming, outreach, and a database of resources. Update on Superintendent Search: President Caplan said the Board has hired HYA, a firm that conducts national searches for superintendents. HYA consultants have conducted more than 40 interviews and focus groups, and are conducting an online survey seeking community input. 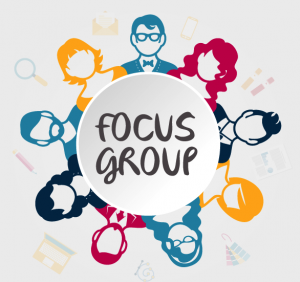 Data from the focus groups and survey will be used to compile a leadership profile which will be presented to the board at its Feb. 27 meeting. The superintendent opening is currently being advertised nationally and the board plans to conduct interviews in April. An announcement is expected by the end of the school year. A parent asked Caplan what his top criteria is for the next superintendent. He said someone with experience and political savvy in a similar community, and someone whose strength is managing a strong team. He said the board is committed to “pulling out all of the stops to bring in a superstar.” He told parents that PCSD is only the second district in Utah to use a national search firm. One parent said Park City has high expectations and the district needs a superintendent who has the ability to say no to the community and prioritize what the district can accomplish. Communication: One parent suggested more information about the superintendent search be included in the newspaper and on the radio. He would like to see more about the process and the timeline publicized. Caplan thanked him for his feedback and said the district is always looking for ways to improve communication. Homework: A parent said students are incredibly stressed due to lack of sleep and too much homework. Vice President Ehlers said there is a movement to decrease the amount of homework for students. She noted that Jeremy Ranch Elementary is piloting a no homework policy this year. Recess: A comment from a parent focused on the importance of students having recess at the elementary level.The parent said he spent 25 years in education and has seen physical activity lessened in the name of academics, but test scores have not improved. He said there is an importance of having designated time for recess, to not only be active, but to learn how to get along with each other. Caplan said that decision is currently made at the local school level, but the Board is reviewing its Wellness Policy and discussing whether it should include guidelines districtwide. “We are looking at the whole child and what are the standards we want for our district. It’s at the top of our mind and we are addressing it as a board,” he said. Property Tax Notice: A parent asked for a description of the school uniform fee. Business Administrator Todd Hauber said before 1996 the minimum school tax was called the school uniform. It is now called the basic levy and that levy used to fund education. That title has simply not been changed yet on tax notices. Master Planning: Master planning will begin in the fall. Caplan said the board has a lot of data about what the community wants. Later start times are a priority for some parents, but what does that mean about the location of the high school, Caplan asked. “We need to determine what our curriculum and programs will look like. What do we want our school sizes to look like. ?” Caplan said the district is looking at about 15 percent growth in the next 10 years. “We are a mature community and everything we do is going to be costly. Ultimately, we want to make decisions that are the best for the community. After we do that, we need to look at how we finance it.” A parent said there are pros and cons to everything the board will consider. She said as long as people believe the board is making the best decision for students, the community will approve the board’s plans. 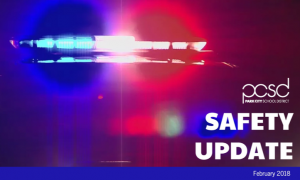 Today, Feb. 12, Park City School District emailed all parents and staff a Safety Update newsletter. It can be viewed here. Newly appointed board member Erin Grady was given the Oath of Office by Business Administrator Todd Hauber. The board appointed Grady to fill the vacancy in District 5 after Julie Eihausen resigned. 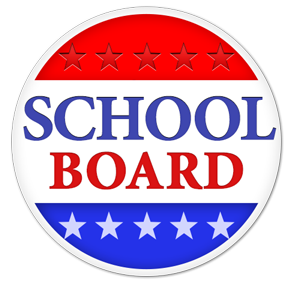 The filing period for three school board seats runs March 9 at 8 a.m. to March 15 at 5 p.m. Seats are open in Districts 1, 4, and 5. Those interested in running for the board must appear in person at the Summit County Clerk’s Office to file. The Primary Election is June 25 and the General Election is Nov. 6. Superintendent Ember Conley said the FY19 budget is built around three priorities: bring the district back to full staffing after the 2008 recession, focus on Professional Learning Communities, and provide student support for the Whole Child (safe, supported, engaged, challenged, and healthy). The board reviewed a preliminary budget with new items including such positions as: an elementary curriculum director, four Tier 3 interventionists, a high school academic coach, an additional nurse, school social work counselors, an additional Latino outreach aide, translation service, three additional special education teachers, additional bus drivers and a mechanic if the board moves to a two-tier transportation system, an executive director of Human Resources to address succession planning for retiring veteran HR Associate Superintendent, and additional DLI teachers at the high school and junior high. In addition to the proposed staff, the contracted compensation agreements for FY19 amount to $1.2 million. The board is also considering whether to add one assistant principal at each school so principals have more time to devote to instructional leadership in their schools. The Board also thinks it may want to wait until a new superintendent is selected and allow him/her to offer their input on the issue. The preliminary net tax increase would be $5.7 million. The estimated annual impact on primary residential would be $141. The estimated annual impact on a secondary/commercial would be $257. Board members expressed concern about having the right systems in place to properly onboard new employees. Some board members feel new positions should not be added until a process is in place to train new staff. –A scenario using natural growth and new development projections estimates a total of 716 new students in the next decade. The complete study can be viewed here. The board was shown what proposed cell towers would look like on the top and back of the Eccles Center. The board asked the district to proceed with determining monthly lease revenues with the cell phone company.